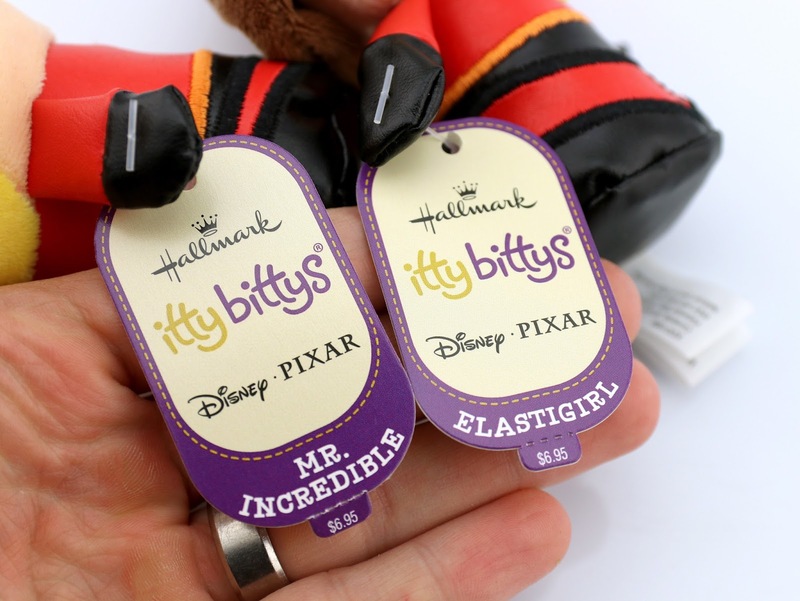 After almost two years, Hallmark has finally released some brand new Pixar inspired Itty Bittys...and they're INCREDIBLE! 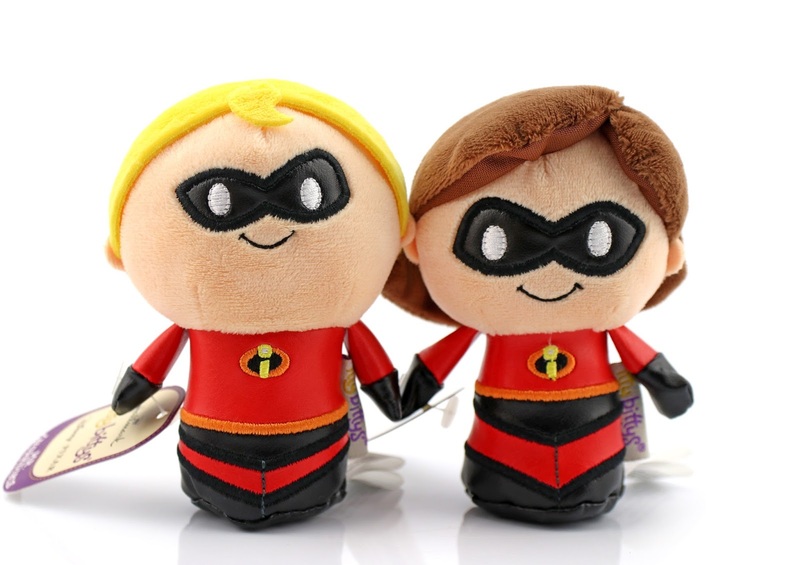 Just in time for Valentine's Day (also perfect with Incredibles 2 right around the corner), check out these adorable Mr. and Mrs. 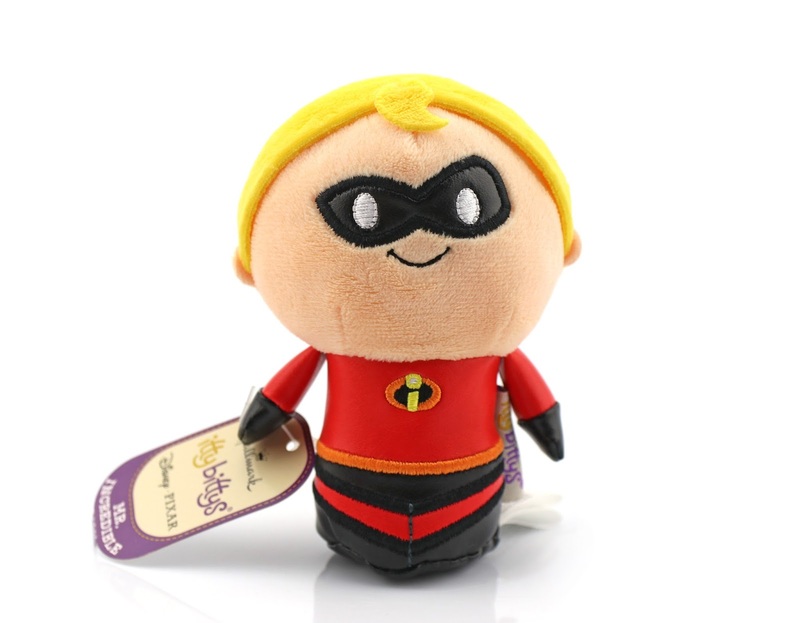 Incredible Itty Bittys plush— now available at Hallmark stores and Hallmark.com! The last time we got any new Pixar Itty Bittys was back in 2016 with Finding Dory. Last night I was searching around the Hallmark site for fun; just seeing if there was anything new or interesting that I may have missed as of late. That's when I saw these and was shocked that I didn't know about them! I've been collecting Pixar Itty Bittys since they debuted in spring 2014 (with Mike & Sulley) and was thrilled to see the line continue with these ones. This morning I got right in my car and drove to a few of my local Hallmark stores until I finally found them. So worth it! Check out my detailed shots below. I love the designs!! I find Mr. Incredible's design particularly funny, with his mouth up a bit higher on his face (giving off the appearance of his signature big chin). Both of these plushies are 4" H x 3" W x 2.25" D in size and retail for $6.95 each. They're made of a variety of soft fabrics (love that the suites and masks are like a faux leather material) and have some amazing embroidered details. 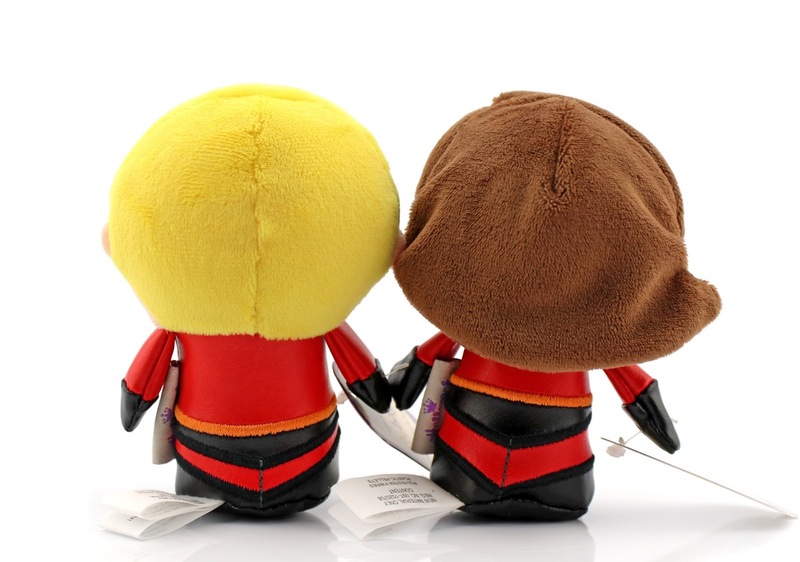 The beans/pellets inside the bottom half of the characters help give them weight so they can stand on their own. If you missed my post on the previous Pixar Itty Bitty releases, check out the designated label to the right of this page! There are so many cute ones and I'm still hoping for more. Who would you like to see released? 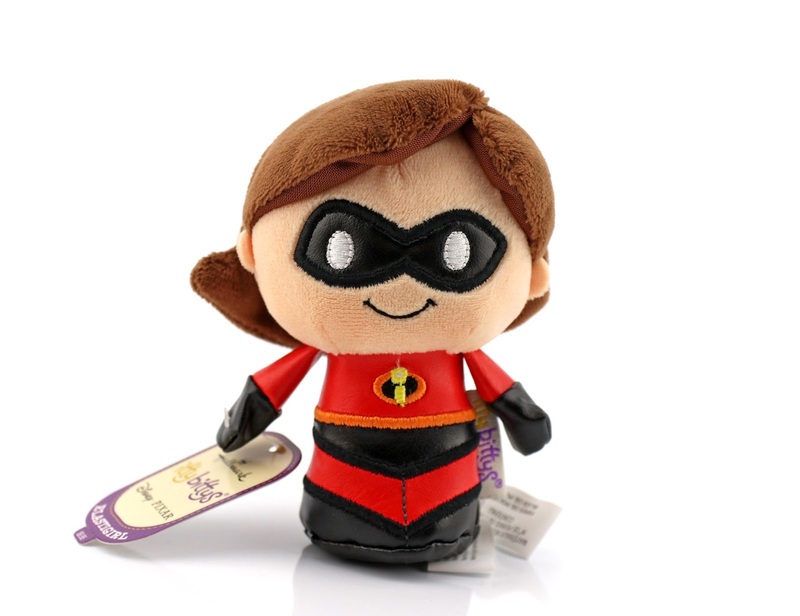 Be sure to pick up these supers at your local Hallmark or online HERE (for Mr. Incredible) and HERE (for Elastigirl). And don't forget to tune in for a new "special look" at Incredibles 2 during the Winter Olympics this Wednesday, February 14th (Valentine's Day)! Shout out your thoughts below. 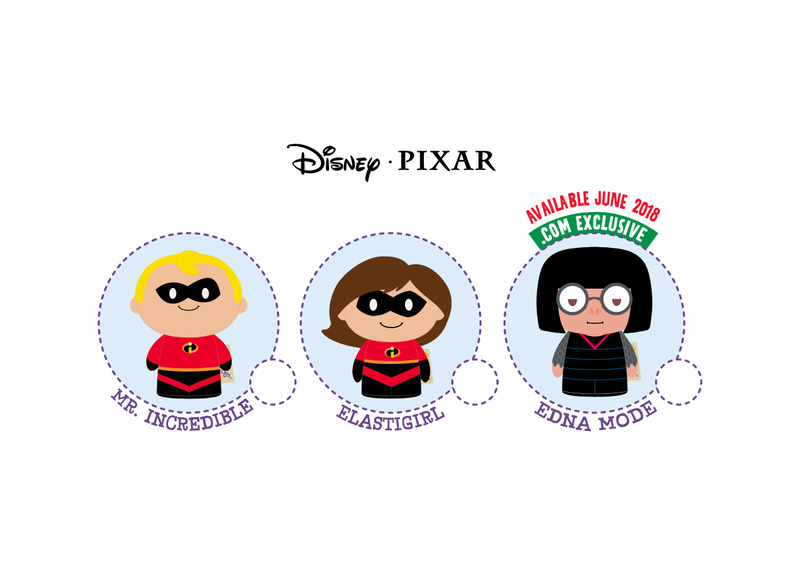 UPDATE: Did some digging and found Hallmark's Itty Bitty 2018 checklist which shows a sneak peek at Edna Mode—coming this June as an online exclusive! Just awesome.